Layaway and financing through Reverb now available! Message for details on a specific product! Now shipping select products to Canada, message us for details. Please contact us with any offers or special requests. We can do various custom orders through any of our authorized dealers. So if you see something you like but want it tweaked to your liking, get in touch with us! *We are a "Brick and Mortar" Store. Our hours are Tuesday-Friday (11:00 AM-6:00 PM); Saturday (10:00 AM- 5:00 PM) EST. We offer FREE** shipping for most of online orders within the continental U.S.A.
BadAxe Boutique uses signature required and additional insurance for UPS, Fedex, and USPS shipments over $299.00 USD in value. This is to ensure safe and prompt delivery to your door. Please message us for the most current Alaska/Hawaii, Puerto Rico rates. Heavy or oversized items will incur additional shipping charges or require a custom freight quote. We also offer shipping on select items to Canada! Please ask for a quote! Special arrangements can be made if you have unique requirements. Worldwide shipping considered on case by case basis. *For an additional charge we can ship 1 Day, 2 Day, or 3 Day Express. Call us at 1.855.522.3293, or contact us at sales@badaxeboutique.com if you have any special shipping requirements or questions. At BadAxe Boutique we want you to be satisfied with your purchase. If you are not completely satisfied with your purchase you may simply return it. 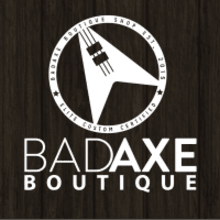 At BadAxe Boutique we give you a 72-hour approval period on Used gear and 7-days on new items. Below are the guidelines associated with our return policy: Return arrangements must be made within 72-hours of receipt of Used gear and within 7-days of New gear. All refunds will be less shipping costs both ways. You may use your refund for full store credit on another “In Stock” item. The returning item must have an RA number given to you by a representative. Any item being returned without an RA number will be refused. The returning item must be shipped back in the same manner in which it was received. If there is any damage to the item due to insufficient return packaging the return will be refused and no refund will be issued. All returns must be insured for the full amount of the purchase price. We will not accept a return if the item has been modified in any way. *All refunds may be subject to a 10% restocking fee, as well as original outbound shipping costs. *“In Stock” item is any item physically in the store and ready to ship. *Excludes Affirm purchases, refer to (https://reverb.com/page/affirm-faqs) Affirm's return policy for details. Layaway terms: All layaway transactions, are non-refundable, non-returnable and final. Please inquire if you have questions before transaction occurs. Thank you!